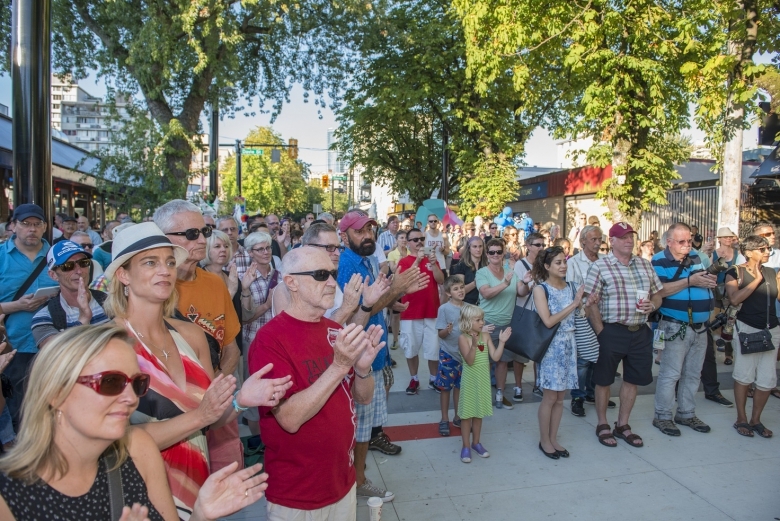 PHOTOS: The West End welcomes the new Jim Deva Plaza! 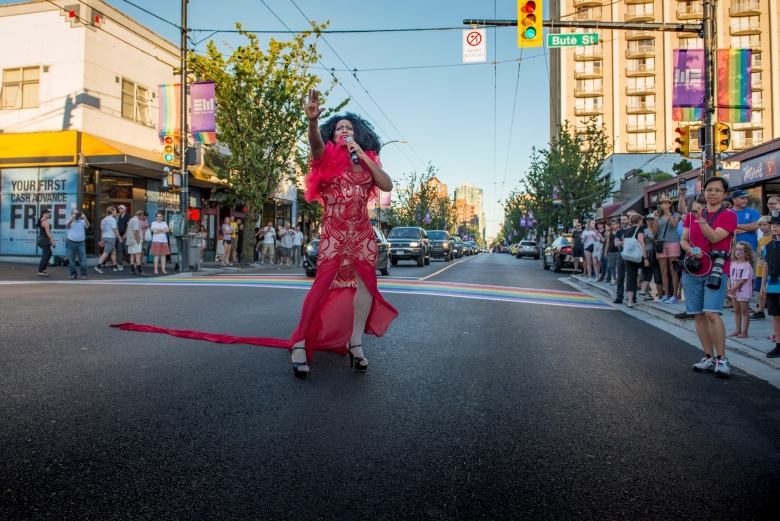 After months of planning and hard work, Jim Deva Plaza officially opened to the public on July 28, 2016 during Vancouver Pride Week! 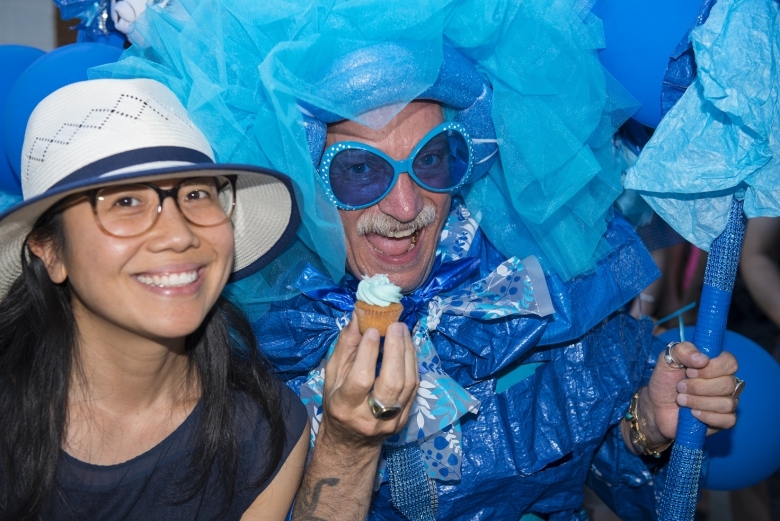 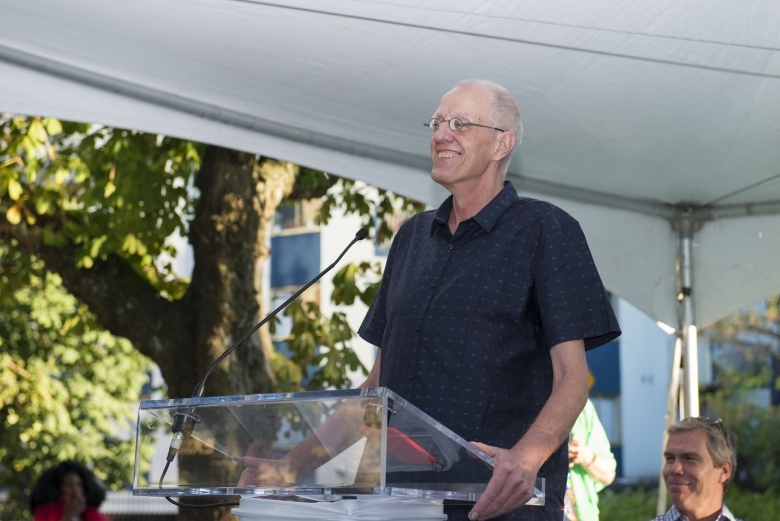 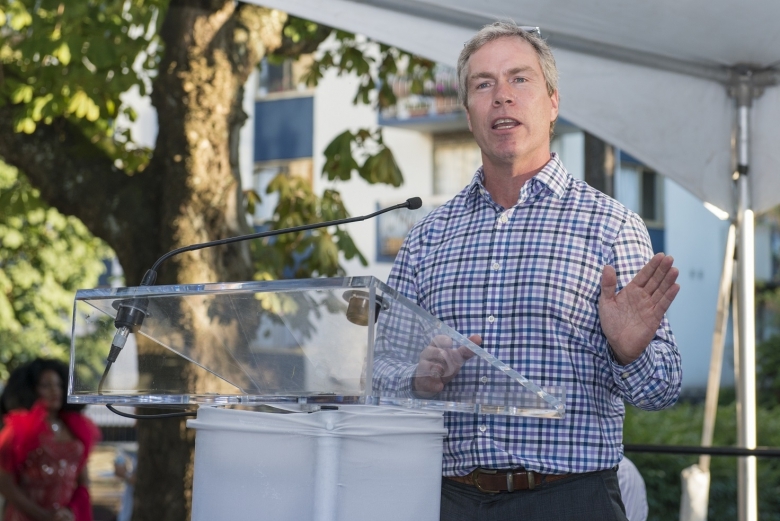 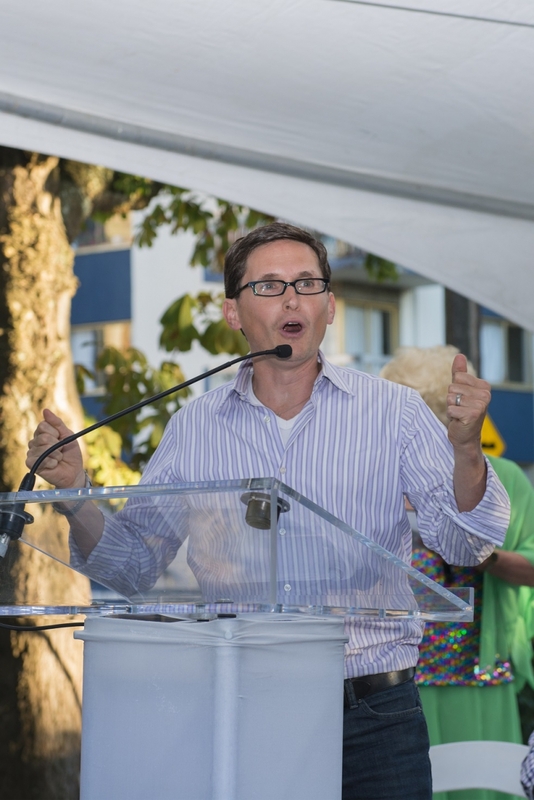 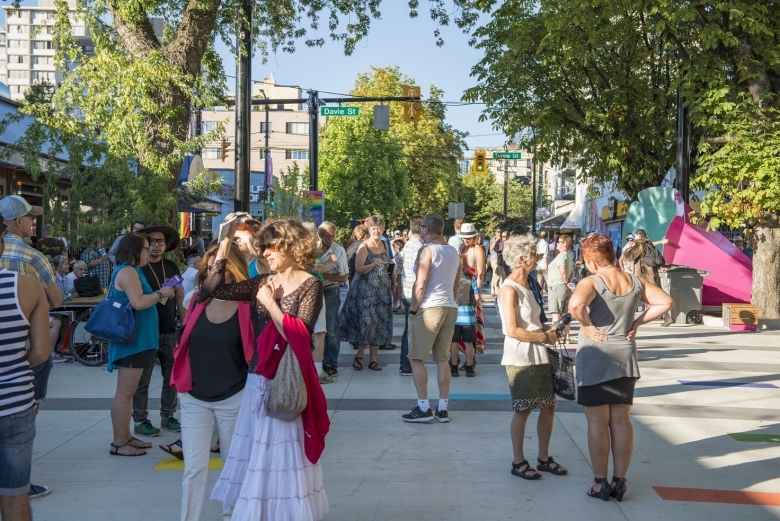 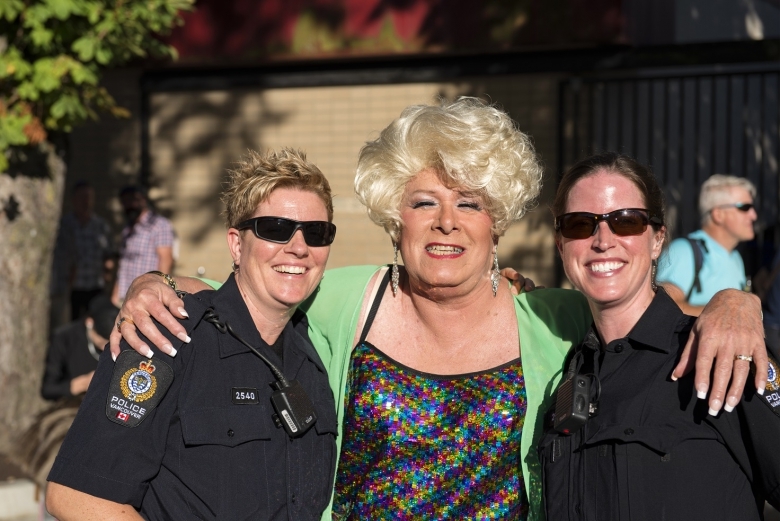 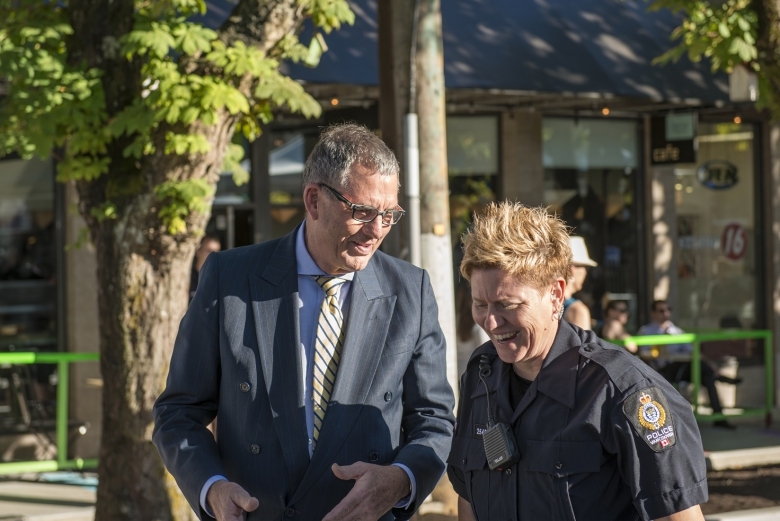 Members of the West End community, representatives from City Hall, the plaza planning team, and the LGBTQ2+ community gathered on a beautiful July evening to celebrate the launch of Vancouver’s newest public space in the heart of the Davie Village. 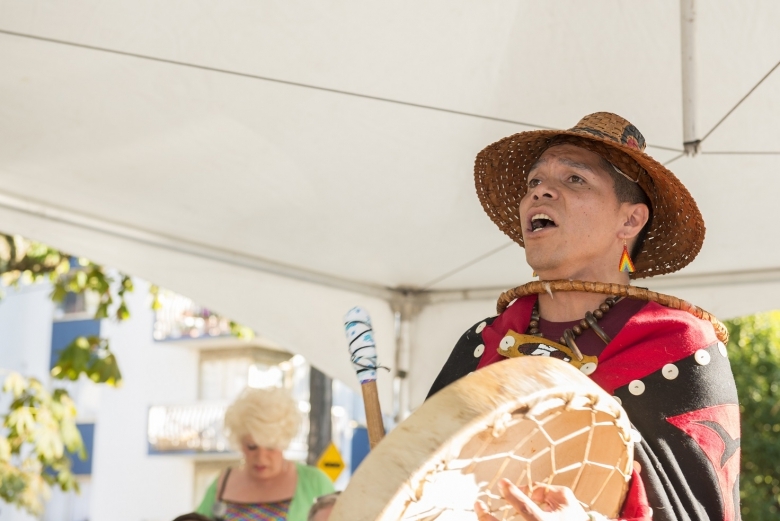 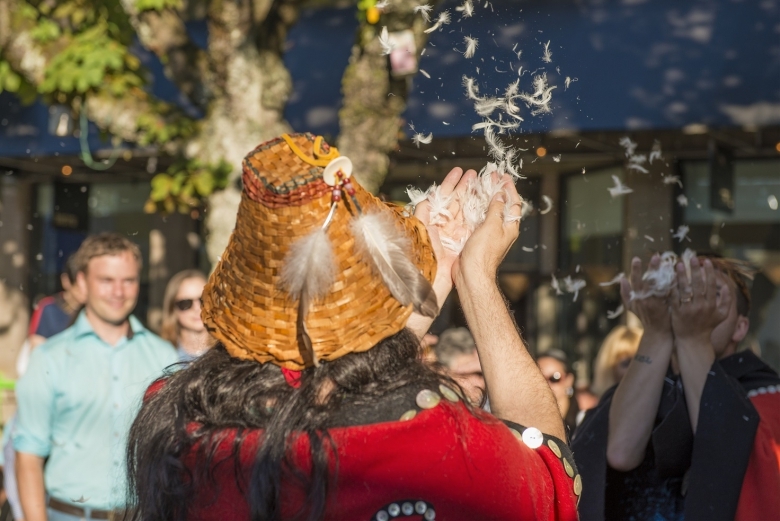 Hosted by Golden Goddess Bill Munro, the official launch party featured performances by Symone Says, Carlotta Gurl, Top Line Vocal Collective, and a blessing from the Greater Vancouver Native Cultural Society. 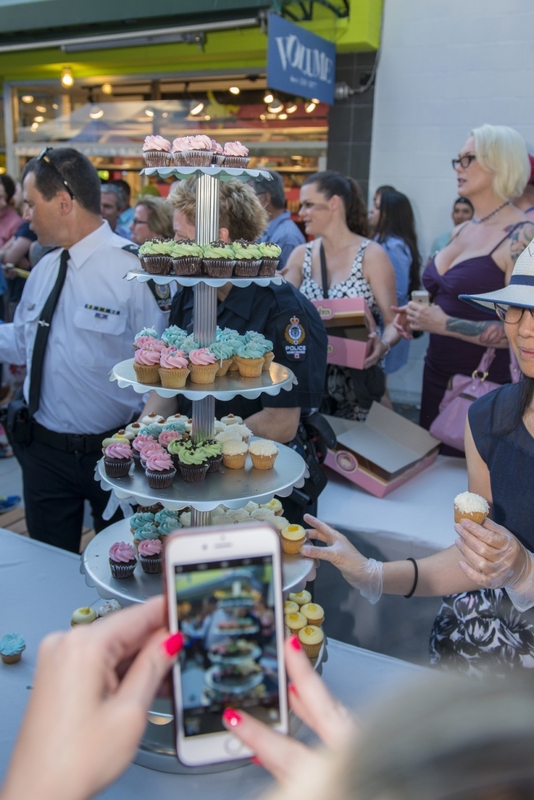 We even stopped traffic with the festivities! 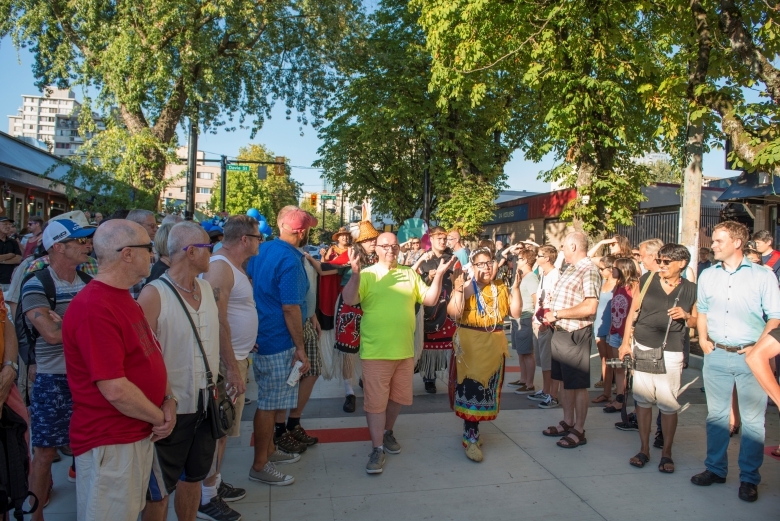 And with that, Jim Deva Plaza is now officially open! 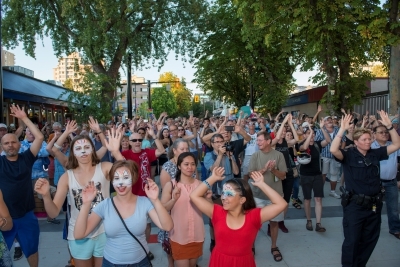 Check out the event listing on the plaza website to find out what’s happening in the plaza. 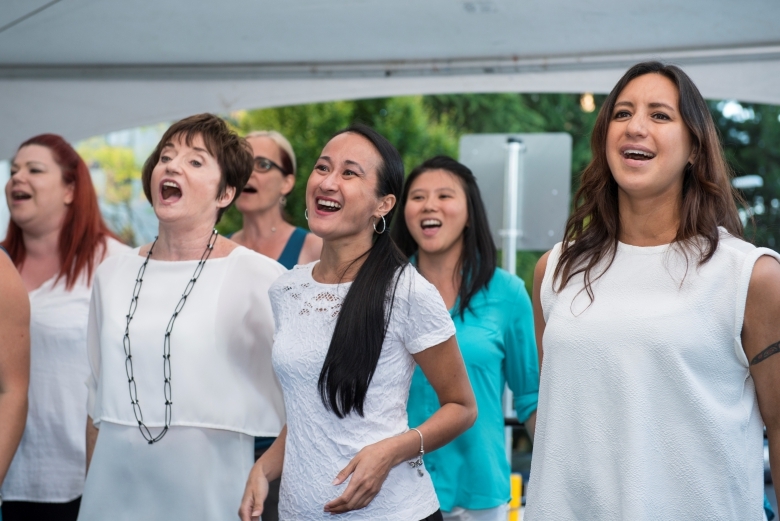 Want to plan an event of your own? 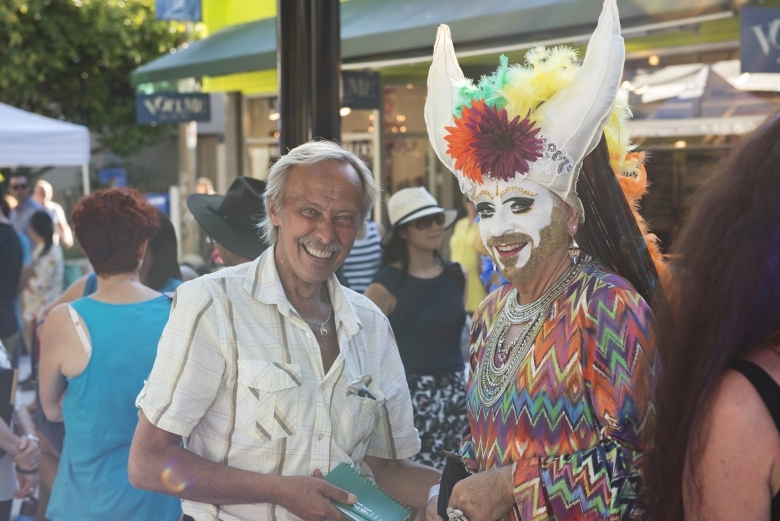 Contact Plaza Coordinator Tess Munro at info@jimdevaplaza.ca.